I originally read One Good Man when it was released as part of the multi-authored sports romance anthology, Team Player. This was also my first ever Emma Scott read, even though I already had three earlier titles waiting patiently for me on my tablet. Set in 1970, the novella is about a college student and aspiring journalist named Janelle Martin who finds herself in Paris. She hopes this'll be her opportunity to work on a story that'll have substance while also providing her with the much needed experience she so needed. When she's assigned to write an article on a medical school student and highly talented semi-pro football player named Adrian Rousseau, she thinks it's nothing more than a fluff piece and goes into it without much enthusiasm. However, there's more to Adrian than meets the eye; Janey finds a tale worth telling and loses her heart in the process. Learn more about Emma Scott. 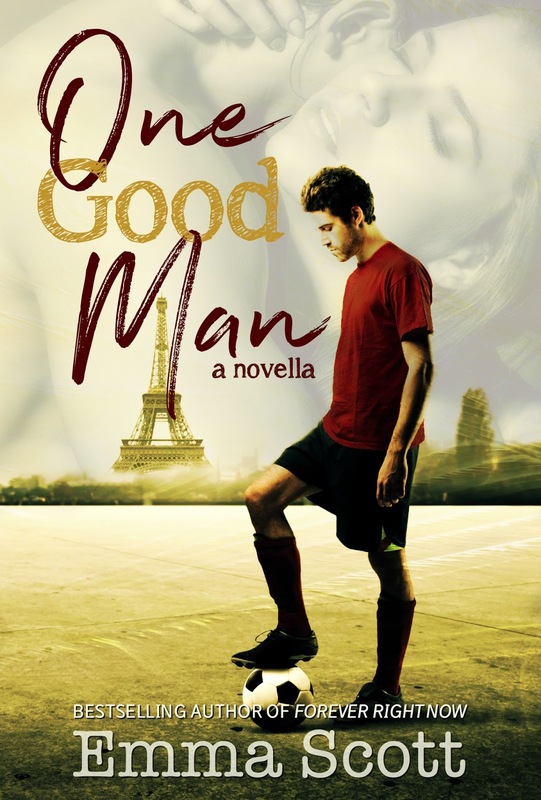 Purchase One Good Man on Amazon.